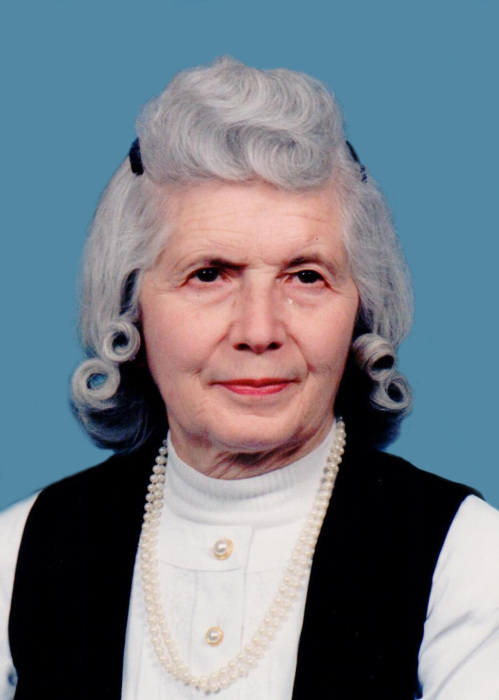 Obituary for Dorothy A Beacham | Hartzler-Gutermuth-Inman Funeral Home Inc.
Friends and family of Dorothy A. Beacham may call from 6 to 8 PM Thursday (April 11) and from 10 to 11 AM Friday (April 12) at Hartzler-Gutermuth-Inman Funeral Home, where the service will follow at 11 AM. The Rev. Dr. Daniel Gelatt will officiate, followed by burial at Carleton Cemetery. On June 30, 1925, she was born in Elkhart, IN to the late Ralph Grames and Florence (Evans) Grames. She graduated from Elkhart High School in 1943. She married Robert L. Beacham in Elkhart on July 4, 1948. Surviving children include one daughter, Mrs. Dallas (Debbie) Harris of Elkhart, Two sons, James “Jeb” (Marjie) of Edmond, OK, Jonathan (Judy) Beacham of Elkhart and stepson Robert L. of Sturgis, MI, 12 grandchildren, and 15 great-grandchildren. Her husband, Robert L. Beacham, a brother, Robert E. Grames, and a great grandson, Lincoln Torok are deceased. Mrs. Beacham worked as a draftsman in Miles Laboratories. She was also a receptionist/office manager for Biltmore Studio. She was a wonderful mom, Grandma, and great grandma who loved her grandchildren and great grandchildren very much. She was a member of First Baptist Church of Elkhart, where she was involved with the Evangelism Explosion Team and the Christian Lights Sunday School class, for over 70 years. She also served as a hostess in charge of guest reception for over 30 years and key component of the Newcomer’s Class where her testimony was very evident as she made visitors feel very welcome to her church family. She was a past president of the Coachmen 321 RV Club and enjoyed camping, crafts, gardening, and spoiling her grandchildren and great-grandchildren. Memorials may be given to Cedarville University, 251 N Main St, Cedarville, Ohio, 45314.